Despite gluten-free diets going mainstream, they do have their place. Not only are they fundamental for those with celiac disease, the issues of non-celiac gluten intolerance appear to be very real (if not indicative of some other hidden food intolerances). But is gluten a problem for your autistic child? Will putting your child on a gluten-free diet help manage symptoms? The evidence continually says no. Interest around gluten-free diets for children with autism spectrum disorder (ASD) has been growing for decades. Since the 1970s, parents have been reporting behavior improvements when their child has been on a gluten-free (and often times casein-free) diet. The theory is that an incomplete breakdown of gluten and casein (dairy milk) proteins in the body produces opioid peptides. 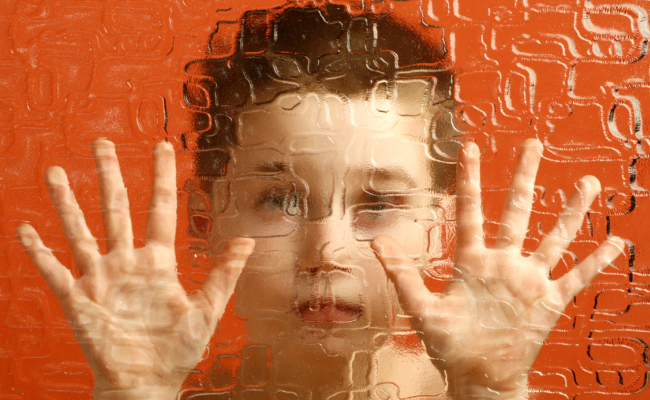 These peptides may cross into the brain of the child, causing the symptoms of ASD. The latest study from the University of Rochester Medical Center used rigorous methodology to test if a gluten-free, casein-free diet actually does help relieve symptoms of ASD. Over a period of 12 weeks, fourteen children with confirmed ASD were rotated through different food challenges using specially-designed snacks that contained only gluten, only casein, both gluten and casein or neither (the placebo to compare against). It was designed in a way that each child’s individual response to the diet could be measured and is the most well-controlled trial of its kind to date (1). The main finding was that a gluten-free, casein-free diet did not improve measures of “physiologic function, behavioral disturbance (sleep disruption and over activity), or ASD-related behaviors.” Interestingly on the days that gluten and casein were given, some children actually had fewer negative social relationship symptoms. If anything this trend suggests gluten and casein actually improves social behavior. The design of that latest study is what is considered the “gold standard” of research (double-blinded, randomized and placebo-controlled) and is the highest quality scientific evidence available. Only two other studies meeting those standard have previously been published. Both of those trials did not observe any significant behavioral changes at any end point where children strictly followed a gluten-free, casein-free diet (2, 3). So the current evidence overwhelmingly indicates that a gluten-free diet does not help with the primary treatment of ASD, a position that the American Academy of Pediatrics also supports (4). There is good evidence that cutting out gluten can be beneficial for those with an underactive thyroid or those with suspected food sensitivities. Unfortunately, the same cannot be said for treating autism, so take these findings into consideration before you decide if going gluten-free is right for you or your child. Perhaps the best next step you could take is adopting a furry friend? Thanks. Desperate parents will clutch at straws though.